The famous and innovative architect Frank Gehry designed this luxurious ultra-modern cool-looking hotel which is covered in pink, silver and gold titanium. The colours represent the wines and their packaging and the flowing almost sail-like roof flows like the countryside. 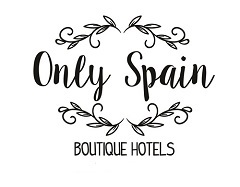 This is a unique stay complete with wine cellar, vinotherapy spa and it is of course situated in the heart of Spain’s wine growing area. 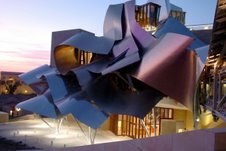 For fine wine, exclusive spa treatments and exquisite dining look no further than the Hotel Marques de Riscal.